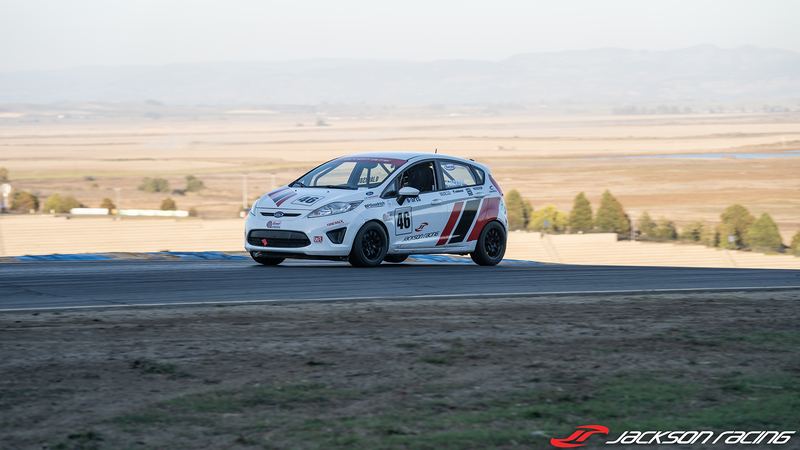 In the world of US amateur auto racing, the SCCA Runoffs is the most highly anticipated event of the year, where racers from all over the country travel to compete for the title of SCCA National Champion. 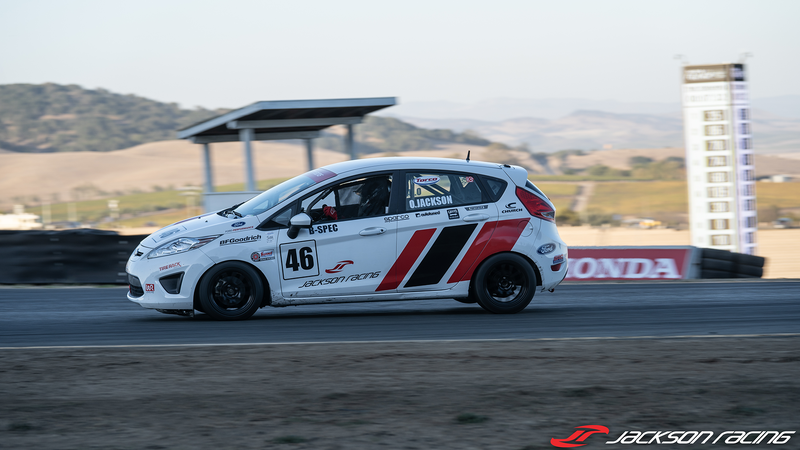 With transportation support from HG Trackside, Jackson Racing traveled to Sonoma Raceway in Sonoma, CA to qualify and race in B-Spec and Touring 3 (T3) classes. 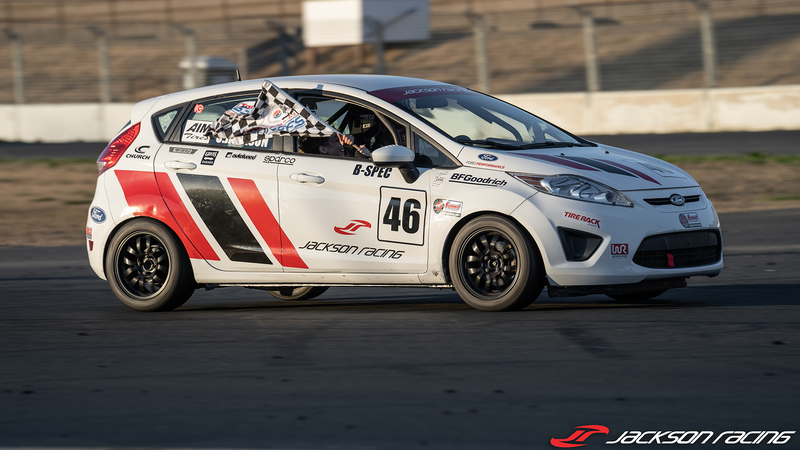 The driver of the Jackson Racing/BFGoodrich B-Spec Ford Fiesta is Oscar Jackson Jr., from Chino, CA, who has been racing in the SCCA for 12 years. 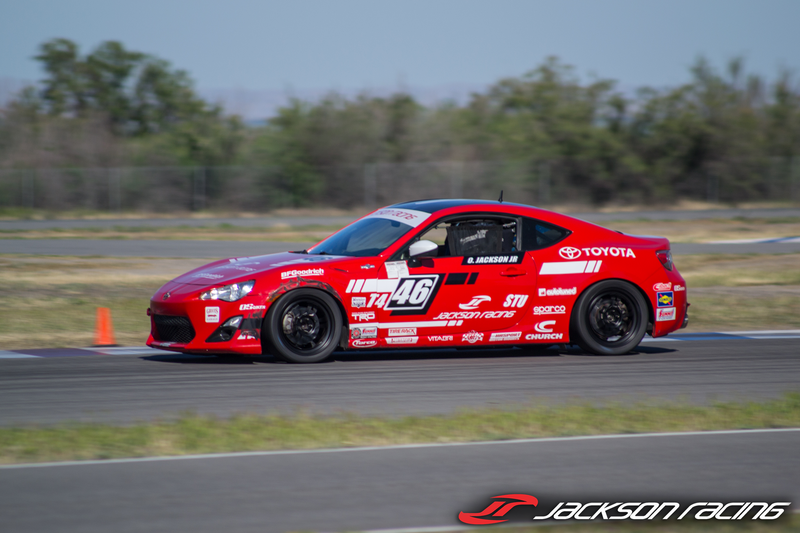 Oscar has already taken home the SCCA National Championship in the Touring 4 category, driving a Jackson Racing/BFGoodrich Scion FR-S to the top step at the 2016 Runoffs. 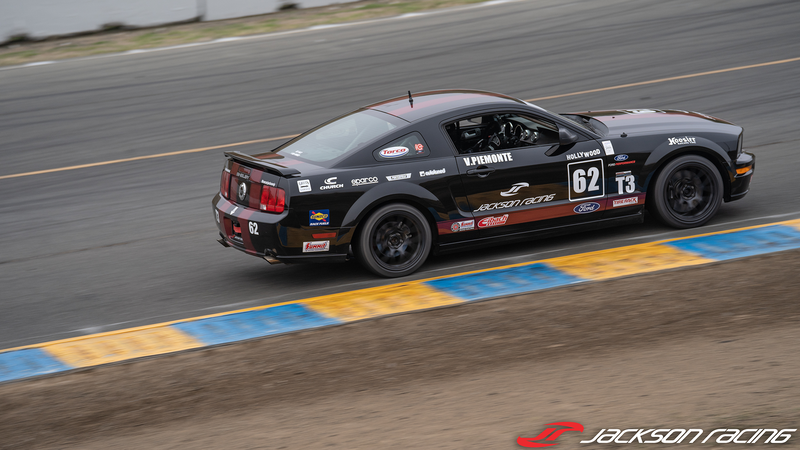 Piloting the Jackson Racing T3 Ford Mustang Shelby GT is Vincent “Hollywood” Piemonte from Burbank, CA, a professional stunt performer and is attending his second Runoffs. 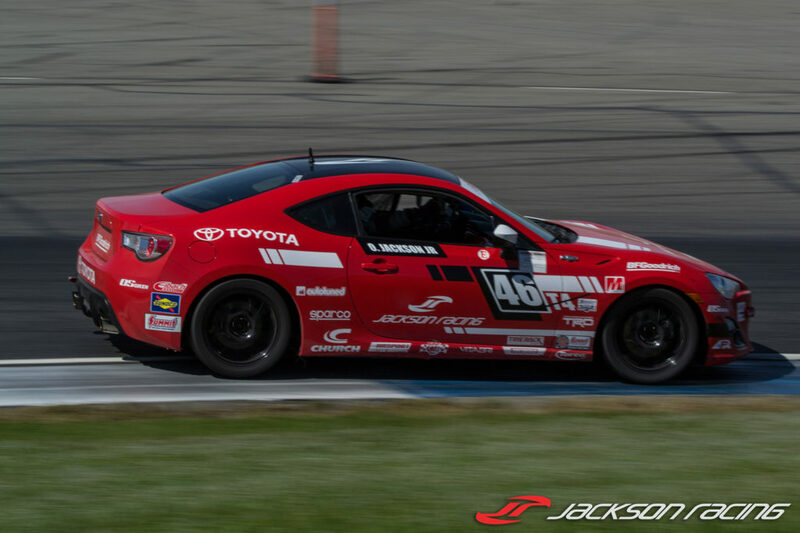 Testing began on October 13 where Jackson Racing worked on setup and preparation for qualifying the next week. 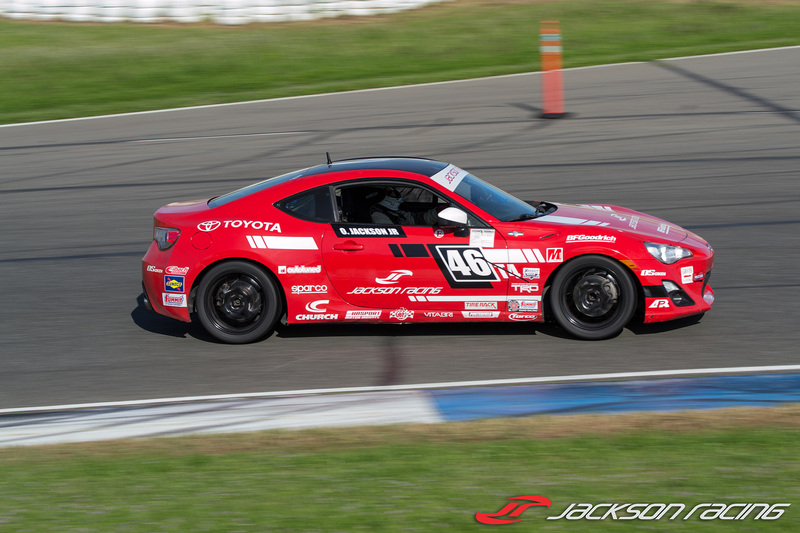 Qualifying spans over three days for the Runoffs with the first day of racing on Friday October 19. 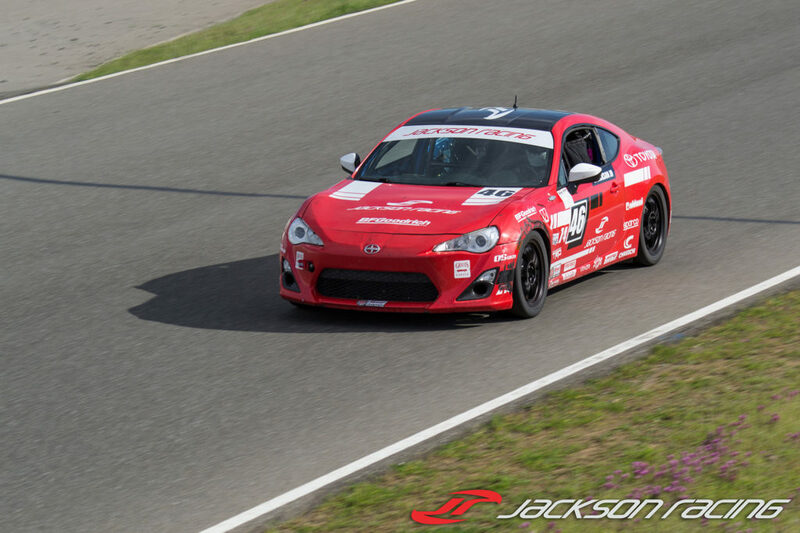 Jackson qualified on pole each qualifying day and set a new qualifying lap record of 1:59.3. Piemonte qualified seventh in T3, improving throughout the week to a fast lap time of 1:50.2, only tenths separating 4th-12th. 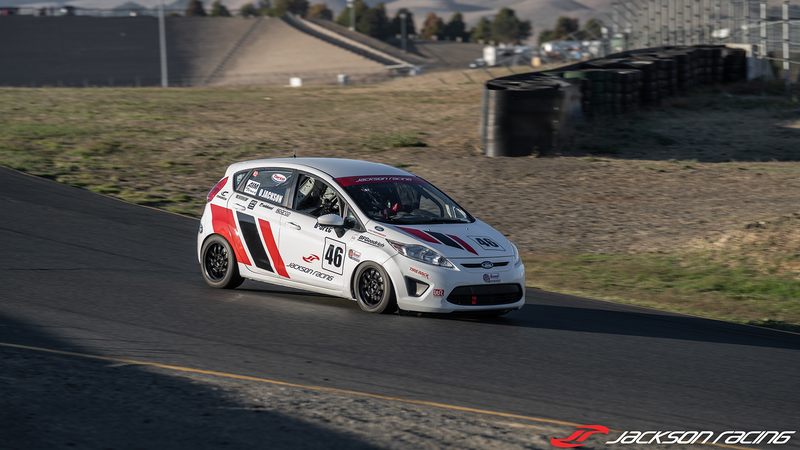 Saturday October 20, T4 and B-Spec went out for the last race of the day where Jackson chose an outside starting position, which helped him maintain his pole position going into turn two. 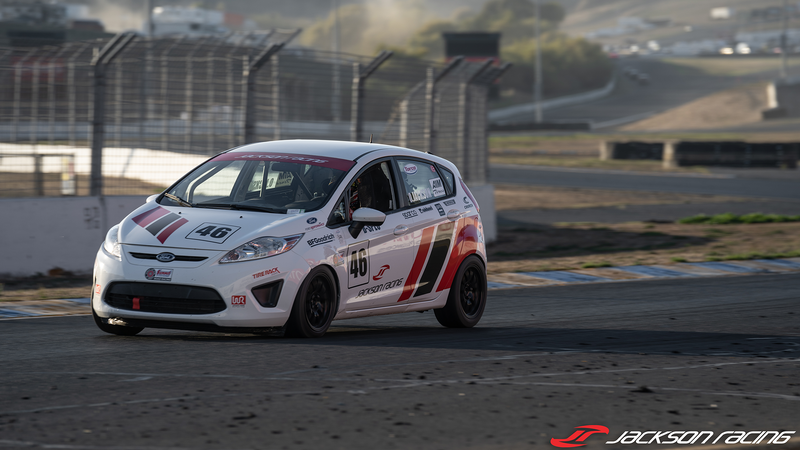 Jackson led the entire B-spec field in the Ford Fiesta from start to checkered maintaining a four and a half second gap over second place for most of the race until the last lap where the second-place driver Pipal closed the gap to about half a second due to T4 traffic. Sunday October 21, the T3 race began with Piemonte in seventh place and there was no shortage of action. At one-point Piemonte dropped down to ninth and the two cars in front started to battle for position and came into contact with each other, which gave Piemonte the advantage. 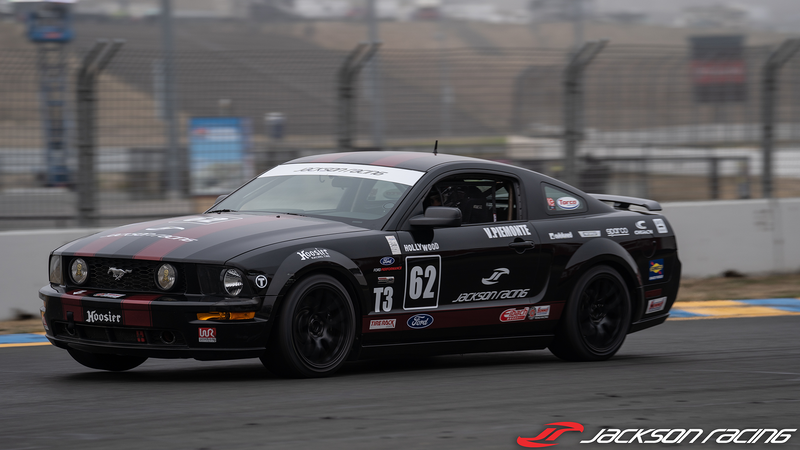 The sixth-place Ford Mustang of Scotty B. White became Piemonte’s next target, which Piemonte closed the gap quickly. 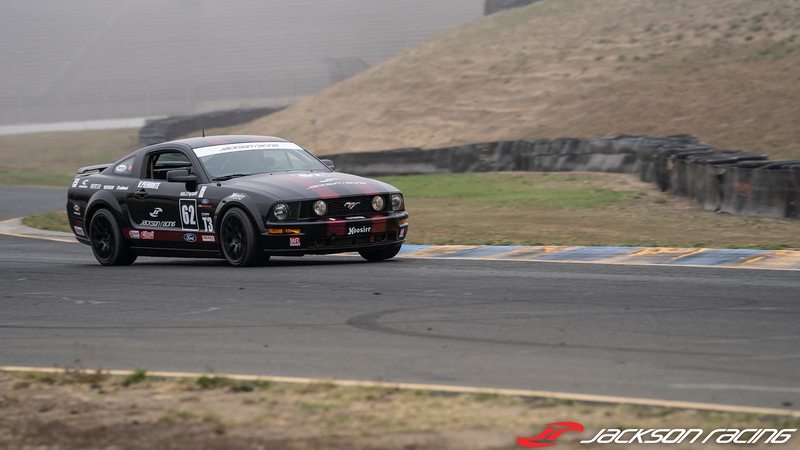 A great Mustang battle commenced, with traffic on the last lap causing problems. In only his second Runoffs, Piemonte finished in the top ten in seventh place, a two-position improvement over his 2017 race. 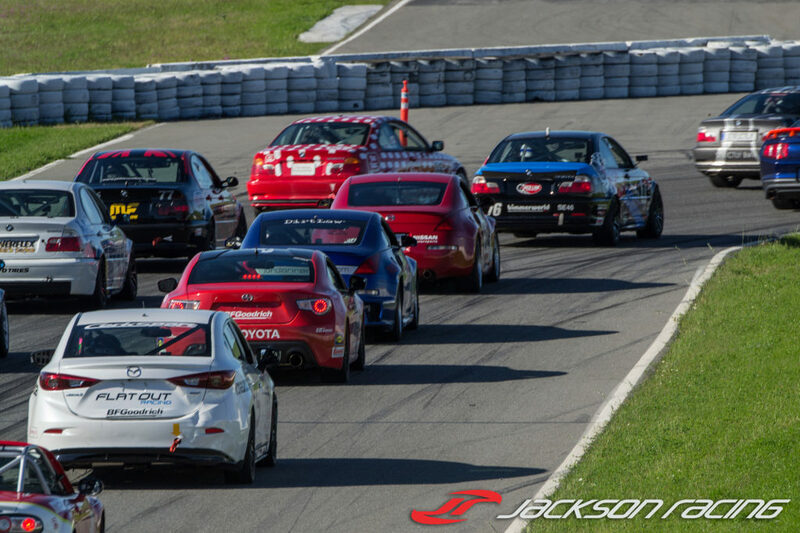 The SCCA Runoffs 2019 will take place at Virginia International Raceway (VIR), October 8-13. 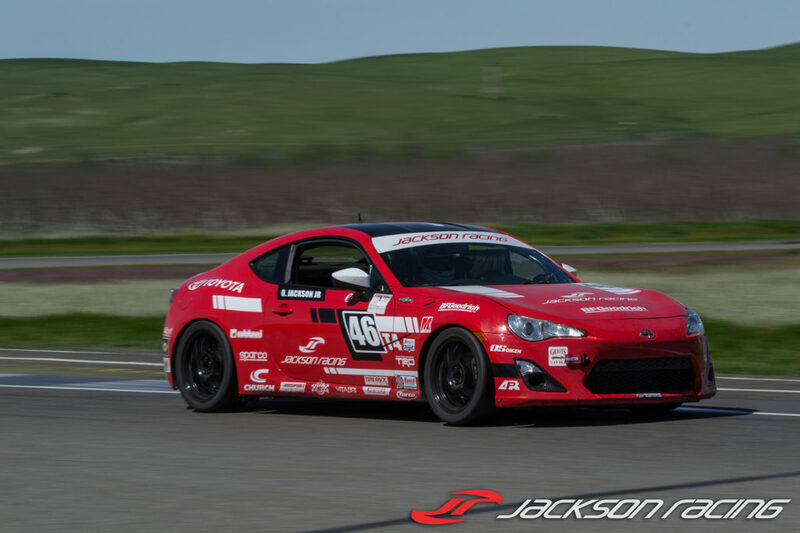 Chino, California (May 1, 2017) – Jackson Racing headed to Buttonwillow Raceway Park for the SCCA Super Tour. 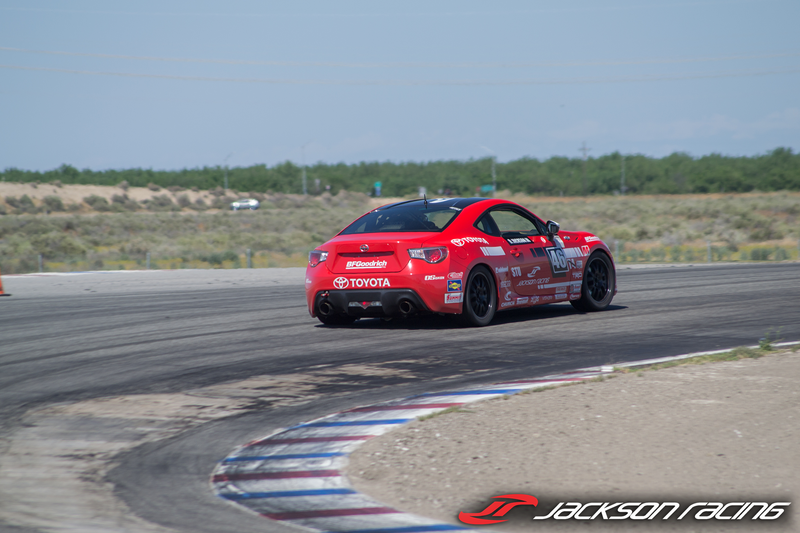 Buttonwillow, CA home to Buttonwillow Raceway Park, was the set of the 2nd West Coast Super Tour event. 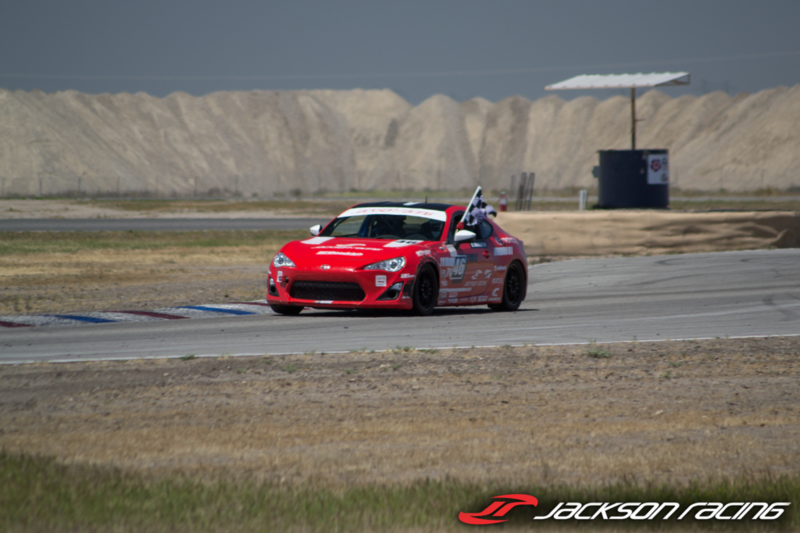 The Jackson Racing team came into the event with back to back victories at the previous two races. 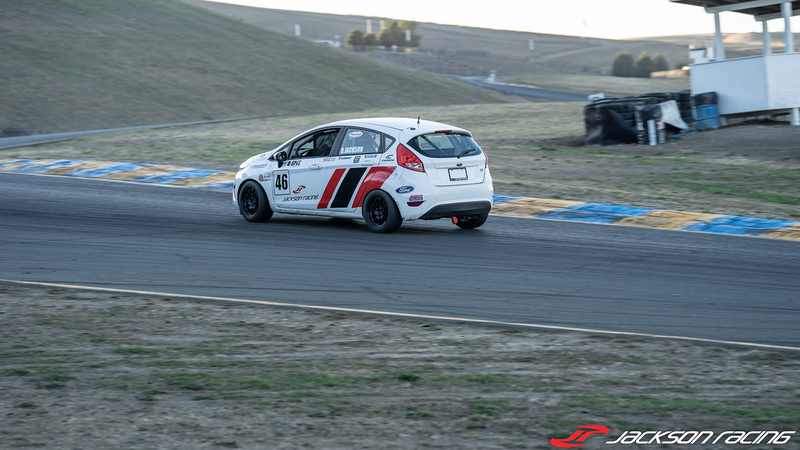 The T4 class is one of the bigger classes, which means lots of competition and well prepped cars. 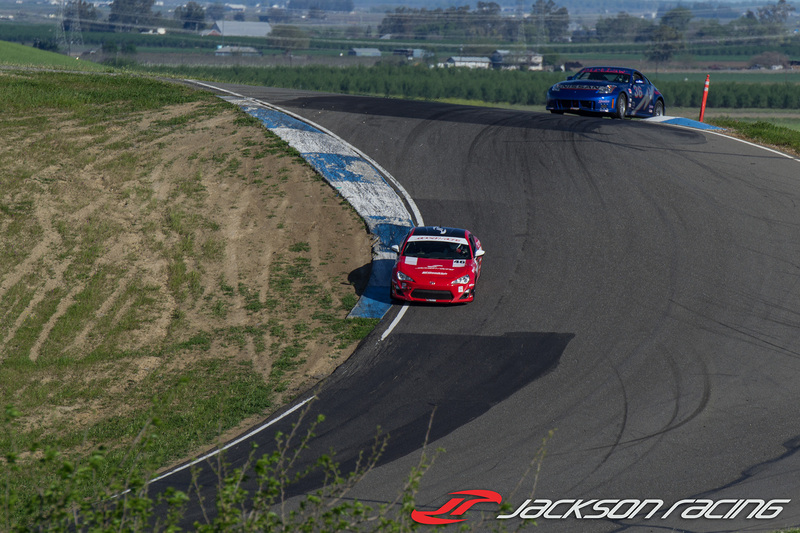 Qualifying began on Saturday morning, and Oscar Jackson Jr. quickly set out to turn laps. 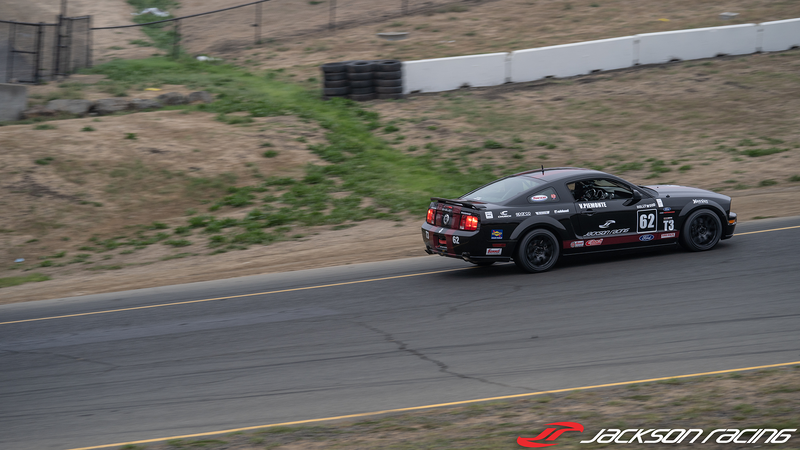 The car was performing well and was able to qualify with a time that set pole, thanks to the BFGoodrich R1-S tires. 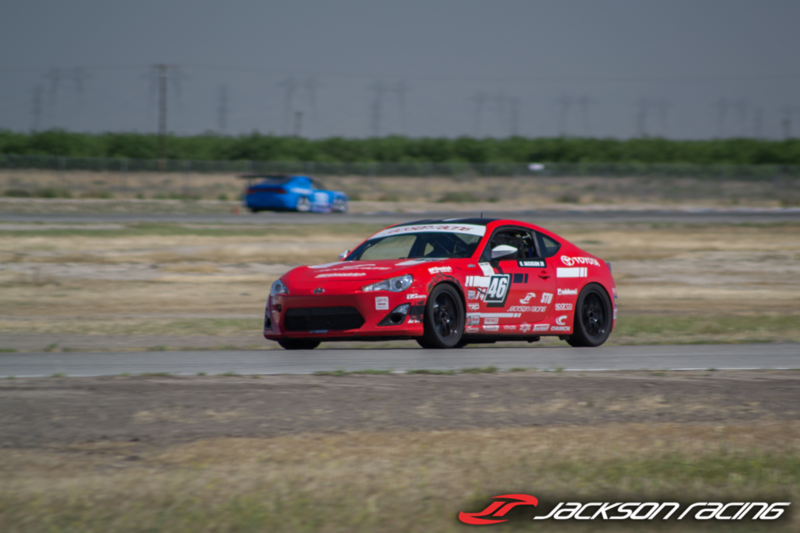 It was a hot day out, but thanks to the Jackson Racing Dual Radiator/Oil Cooler, the FR-S’ oil and water temps stayed cool during the quick pace Oscar Jr. was setting. 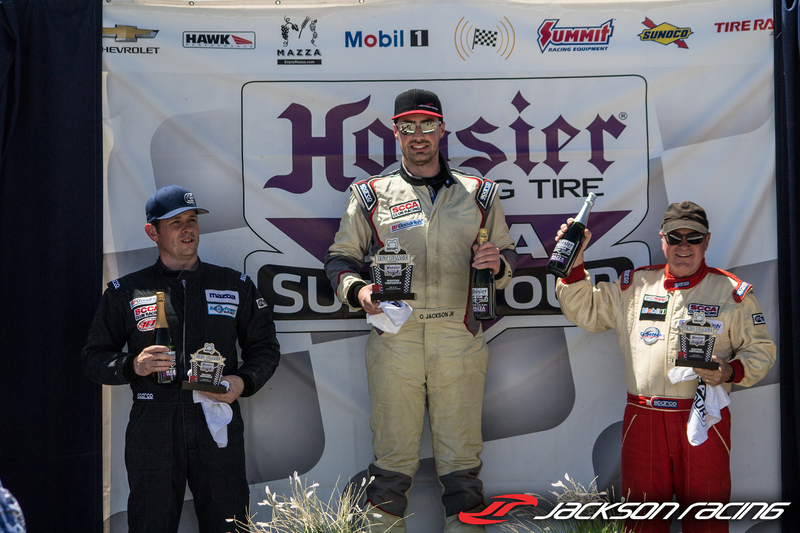 Fast lap times and consistent driving led to a First Place Finish! Oscar Jr. Started from pole gain on Sunday as the green flag waved. Focusing on clean laps, Oscar Jr. was able to stay at the front, and although he ran into some out of class traffic, was able to get around cleanly and take the checkered flag! 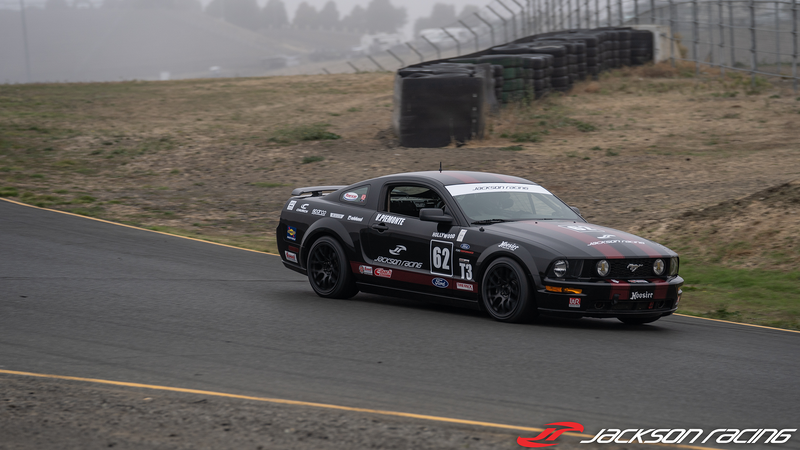 Jackson Racing will take the rest of the racing season off in preparation to defend the T4 National Championship at the Indy SCCA Runoffs. 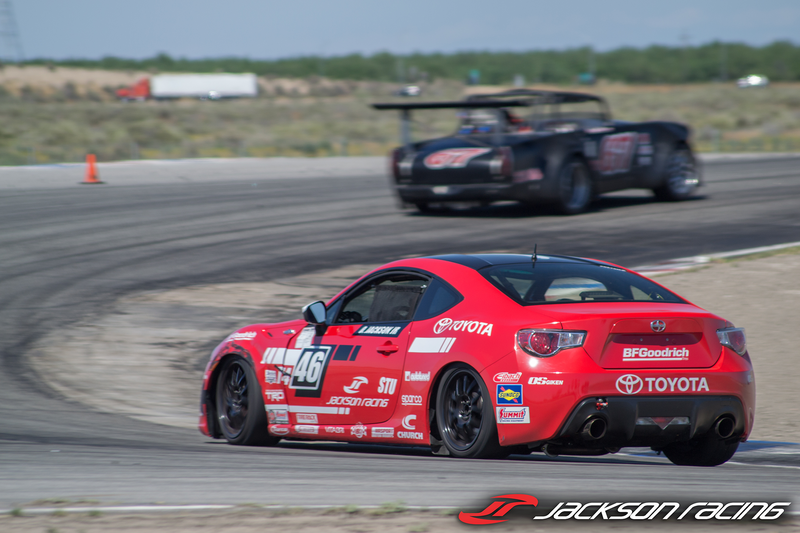 Chino, California (April 3, 2017) – Jackson Racing at Thunderhill Raceway Park for the 3rd stop on the SCCA Majors Schedule. 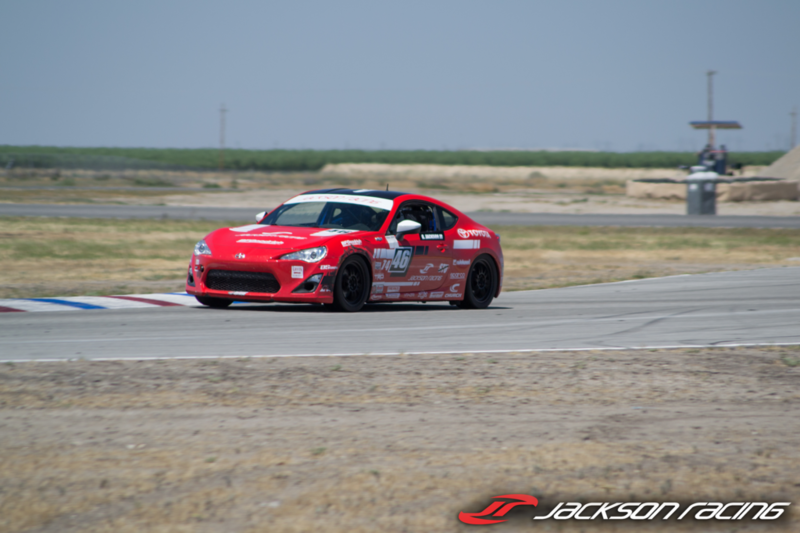 The Jackson Racing Team headed to Willows, CA for Round 3 of the SCCA Majors. The weather was perfect for the weekend, which brought out many drivers and competition. 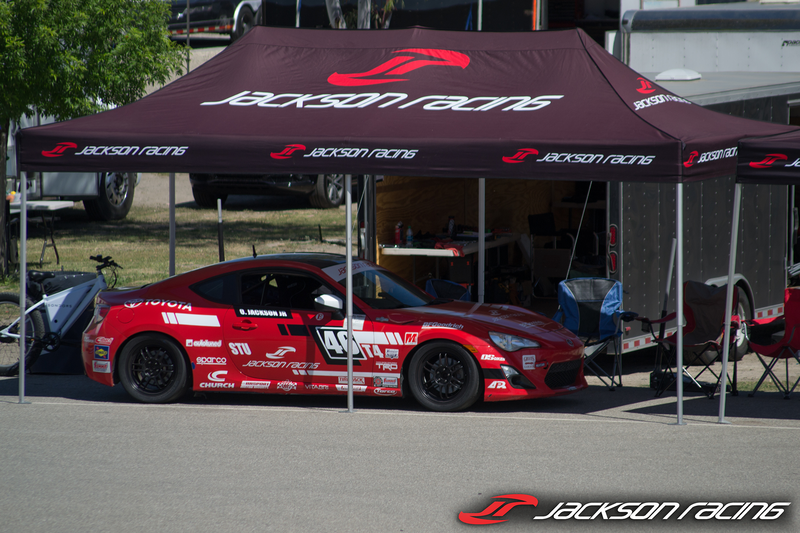 The Jackson Racing Team, was still making adjustments to the car following the 2017 rule change. 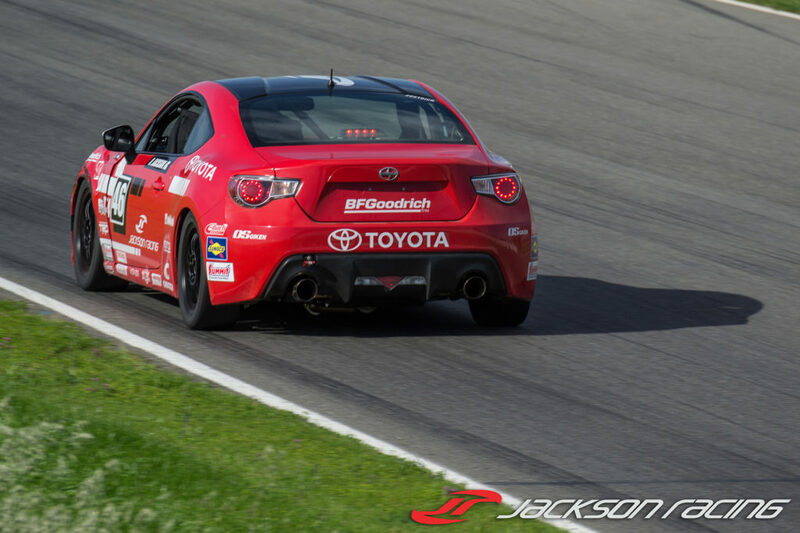 Saturday morning qualifying went well and Oscar Jackson Jr. drove the Scion FR-S to Pole. Starting from the #1 spot in the race allowed Oscar Jr. to stay focused and put in clean laps. This allowed the FR-S to put a gap on the field and come away with the checkered flag! 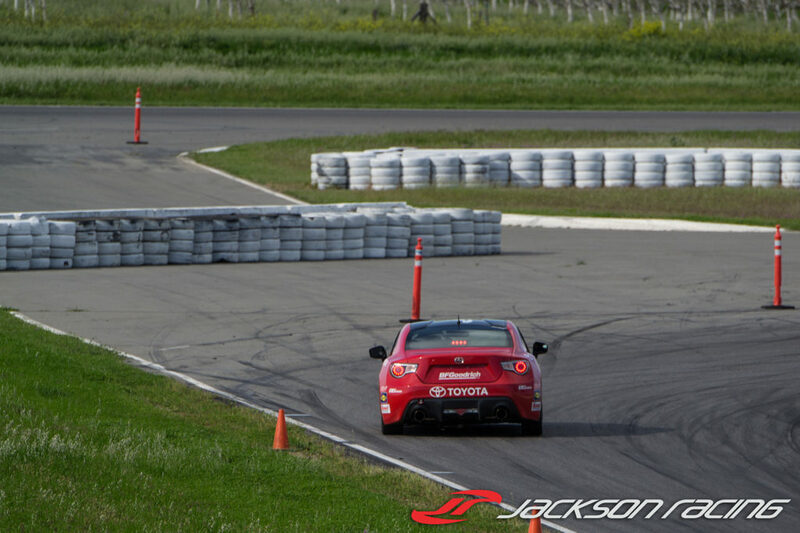 The Jackson Racing FR-S held on to the fast lap of the weekend, so Oscar Jr. started from Pole once again. Just like Saturday, consistently fast laps allowed Oscar Jr. to come away with the win on Sunday.